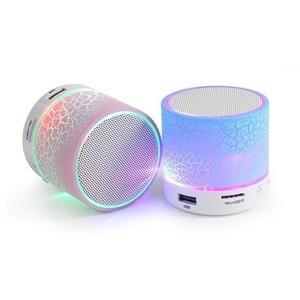 Shenzhen Ept Electronic Technology Co., Ltd.
Guangzhou Ronc Electronic Sciences & Technology Co., Ltd.
Shenzhen Tai-Sound Technology Co., Ltd.
Shenzhen Highstar Electrical Co., Ltd.
Handfree Calling Waterproof Wireless Speaker with Lamp Features: 1. Sensor touch switches. 4. Built-in rechargeable Li-battery with capacity: 2200 mA/h. 5. Waterproof level IPX4, enable speaker to be used outside and for camping light. Connect a row of mini speakers to get jaw-dropping audio performance. Custom gift from drawing to design and to mass production. ) that according to clients requirements and clients' customs policy. Shenzhen Keyway Electronic Tech Co., Ltd.
Shenzhen Sam Technology Co., Ltd.
Shenzhen Aidar Trading Co., Ltd.
Shenzhen Changshengfa Electronic Co., Ltd.
Shenzhen Wxhbest Electronic Technology Co., Ltd.
Shenzhen Aonsmart Technology Co., Ltd.
Shenzhen BHD Technology Co., Ltd.
Shenzhen Casun Technologies Co., Ltd.
Wuhan Qin Qi Yuan Da Technology Co., Ltd.
Shenzhen Kingstar Industrial Co., Ltd.
Shenzhen Yagelong Technology Co., Ltd.
Shenzhen Xinjiale Electronics Co., Ltd.
Shenzhen E-Navi Import & Export Co., Ltd.
Guangzhou Kisonli Electronic Technology Co., Ltd.
Shenzhen Top Star Industry Co., Ltd.
Shenzhen Hoonbo Technology Co., Ltd.
Shenzhen Qianhai Kingstar Technology Co., Ltd.
Shenzhen Yuzhuo Technology Co., Ltd.
Shenzhen MTC Gift Co., Ltd.
Shenzhen Tianhongyi Electronic Co., Ltd.
Shenzhen Wow Strong Technology Co., Ltd.
Dongguan Cohesionnow Electronics Co., Ltd.
With the development of our team and our molding equipment, we are dedicated to all you OEM orders in accordance with your demands. We have an industrial factory in Shenzhen, with a total area of 3000 square meters and a workforce of 120 employees. The advantageous point is that we have been committed for over 8 years to the design and assembly of product components and equipment. Jiangyin Bangde Network Information Technology Co., Ltd.
Shenzhen Cre-Star Technology Co., Ltd. Question: What is the leda time9 (How long do you need to prepare my goods9) Answer: 2-4 days for sample orders, 5-10 days for mass production orders(based on different quantities, OEM, etc. Question: How long do I need to wait before my goods arrive9 Answer: 5-7 days for air transportation, 3-5 days for international express, 20-40 days for sea transportation. Question: Can you put my brand name(logo) on these products9 Answer: Of course, OEM service is the most important part of our trade purpose. 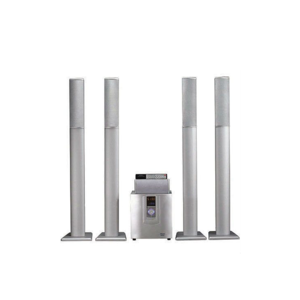 Shenzhen Jilang Technology Co., Ltd.
Shenzhen Kunpeng Industry & Technology Co., Ltd.
Alibaba.com offers 3,213 s10 speakers products. About 86% of these are speaker, 1% are acoustic components. 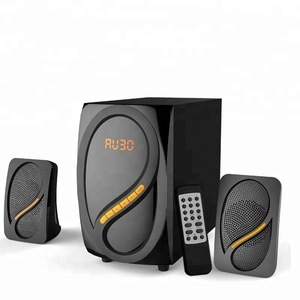 A wide variety of s10 speakers options are available to you, such as computer, home theatre, and portable audio player. You can also choose from mini, wireless, and mini system. As well as from 1, 2 (2.0), and 3 (2.1). And whether s10 speakers is active, passive, or mini amplifier. 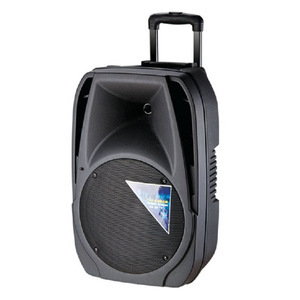 There are 3,214 s10 speakers suppliers, mainly located in Asia. The top supplying countries are China (Mainland), Hong Kong, and Thailand, which supply 99%, 1%, and 1% of s10 speakers respectively. S10 speakers products are most popular in North America, Western Europe, and Eastern Europe. You can ensure product safety by selecting from certified suppliers, including 823 with Other, 253 with ISO9001, and 39 with ISO14001 certification.